Toronto's Tough Age debuts their dynamic new line up. The first thing you need to know about Tough Age is that Archie Andrews loves them so much he has a poster of them above his bed – on The CW's Riverdale at least. Describing themselves as a “bubblegum pop” band and “not punk at all,” Tough Age's three-track Guess Not /Unclean EP marks the first release from the group's Toronto-based line-up. Previously fronted by guitarist and vocalist Jarrett Evan Sampson, the new Tough Age features more shared singing and songwriting duties with bassist and guitarist Penny Clark, as well as drumming from Jesse Locke. The 7” starts with “Guess Not,” a re-recorded version of a one-minute tune from Clark's project The Drearies that sounds like a demo from the first Ramones record, albeit with better drumming. “Not That Bad” laments getting dressed up with nowhere to go, before conceding to the fact that maybe that's okay after all. The 7” ends with “Unclean,” a stark, five-minute departure from the first two songs that shines a spotlight on extended feedback-laden solos and vocals from Sampson. 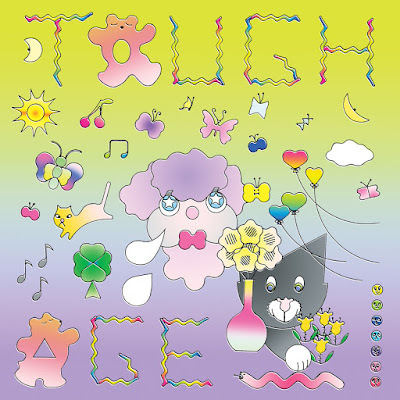 Tough Age's new sound is more experimental than it has been in the past. With the new line-up, the group is taking more sonic and thematic risks than ever before, all without losing their pop hooks. If the songs on Guess Not / Unclean are a good measure of what's to come on their upcoming third album Shame, to be released on Mint Records this fall, then Archie Andrews could sure learn a thing or two from the poster above his bed. Listen to Tough Age on bandcamp.